Last Sunday's Shamrock Shuffle 8k was amazing. With my surprising fast finish time, I couldn't stop smiling. As I wandered through the finisher's chute, still smiling, I walked over to the area where finisher photos were being taken. I asked the photographer if she could take a picture of me with my phone. She told me "it wasn't allowed". While I was talking to her, another woman came up and offered to take my picture. The photographer repeated that "it wasn't allowed". I asked her what would happen to me if the woman took my photo. I runfess that it was kind of rude of me. I could justify this by reminding MarathonFoto of all the pictures I've bought from them in the past. But there's no need since I won't be purchasing any photos this time. Karma won out with the selection they sent me, including that finish line gem above. Remember that Lenten sacrifice I made? The one where I was giving up wine for Lent because my liver staged a full-on rebellion? To help my liver recover, my physician stopped the offending medication and I started taking milk thistle, an herb purported to detoxify the liver. I runfess that about 3 weeks into my dry spell, I fell off the wagon. There was a dinner with my high school friend. Lunch with MB in Florida. Staying with my parents in Florida. I'm pretty sure this runfession surprises no one. I am weak. I love wine. Please don't judge me. Life is short. Speaking of my parents, while I love them dearly, I guiltily runfess that spending extended amounts of time with them is a real test of my patience. Actually, it's exhausting. My mom is hard of hearing but won't wear a hearing aid, so talking with her can be a challenge. Although I have to admit that her misinterpretations can be kind of humorous at times. My dad constantly interrupts conversations to tell you something, sometimes poking my arm with a "hey, Wendy" to get my attention. I know that I'm lucky to be able to spend time like this with them, so it feels bad to even share this. But it is what it is. During the week of my nurse practitioner conference, which was held in downtown Chicago, I may not have gotten a lot of running in, but I walked all the miles that week, walking from the train station to the lakefront hotel and back. The conference announced a step competition and you know I was all over that. On Wednesday, we filled out little slips of paper with our steps. I looked over at one woman's and she had over 23,000 steps each day. I runfess that I considered that she may have cheated. It's a thing, you know. Although because she's a member of the most trusted profession, I'll give her the benefit of the doubt. But her total still begs the question: how did she do it? On a run earlier this month, I took out my anger on the most hateful of the candidates running for Illinois governor. I was at a stoplight, waiting for the green light when I noticed her sign stuck in the ground. I runfess that I pulled the sign out of the ground and threw it to the ground, where I stomped on it. I noticed the people in the car next to me watching. The light turned green and I crossed the street, where there was another sign, which also I pulled out of the ground threw to the side. A few blocks later, there was another one and I tossed it in the bushes. Thank goodness she didn't win the nomination. Whew! That's a lot of runfessing. What do you have to runfess? It's been a long month, so I'm sure you have a few things? Ever get so upset about a political candidate that you take it out on their signs? Do you count steps? Race photos, yay or nay? Any funny parent stories? 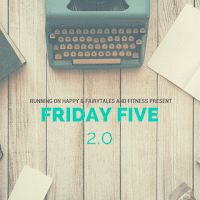 I'm linking up with Marcia's Healthy Slice for Runfessions and Running on Happy and Fairytales and Fitness for the Friday Five! Have a great weekend. Marathon Photo is so obnoxious to me. Their prices are ridiculous and they rarely take any good photos. Hmm, that;s definitely weird that she had over 23,000 steps per day, but maybe she ran everyday before the conference? That's the only thing I can think of. I considered that she was a runner. But even on the day I ran 4 miles, I only had 17,000 steps. I LOVE that you pulled someone's sign out and stomped on it. I WISH WE LIVED NEAR EACH OTHER!!!! We would be besties, Wendy!!! Hahaha. And I cannot agree more that March was the longest month ever. Of course I'm at the beach now so I can relax a little. I'm sure April will be just as long and gloomy in the Cleve. Oh, it will be long and gloomy here in Chicago too. I just hope this snaps before summer comes! LOL, I think messing with campaign posters is a crime, but I'm sure you'd get a sympathetic jury. ;-) That finish photo is hilarious. There is so much hate in our country right now and this particular candidate capitalized on it. I understand why marathon photo doesn't want people taking pics with with their own phones using their backgrounds but come on. What really are they gonna so to you? And the worst is when you get photographers that say different things. That happened to us at Disneyland. One photographer allowed our on pictures and one did not. I'm glad you got to spend time with your parents and now you can sit at home and laugh about it! I laugh and then I cry because it's hard to see them getting old! But I have to admit that some of the things they do are just plain funny! One of that candidate's minions approached me at the train station and you know I told him what I thought of her! I wish there was video of you stomp attacking that sign. That needs to be a gif or a meme STAT. I do count my runs towards my steps--I don't compete online or anything--but I'm just mystified how she found the time to get that many! Excuse me. No one can take a photo of you with your phone? That's ridiculous. No wonder no one buys their photos! I mean, my husband is a talented photographer so I get it, but still. My father actually does wear his hearing aids. He still can't hear. So he's become depressed & withdrawn, and even when you try to include him, he usually quickly loses interest. He was a brilliant man and it's not easy seeing either of my parents the way they are now. So I get it. What's even worse is my husband gets annoyed at some of the things my dad does (and quite frankly, my dad is majorly annoying & always was), but that doesn't exactly make me feel less stressed. And we go to see them once a month -- this time twice a month because of all the birthdays. It's stressful and it's tiring. But yes, I am also still lucky to have my parents. OTOH, I often say to my husband if my dad lives to 100 (8 years from now) just shoot me. Family. It can definitely be hard. I think my dad will outlive my mom and that scares my sisters and me! I actually very much doubt my Dad will outlive my mom, but if he does . . . I get it. Totally scares us, too! I'm still giggling over the picture in my mind of you pulling out the signs and stomping on them. Good for you! Some of the candidates these days are frightening. I hate the price of race photos! I actually had some great ones at the Carlsbad 5000, but they're so expensive. First I really love some of them. Then I ask myself what I'm actually going to do with all the pictures (after sharing a few on social media), so I talk myself out of buying them. 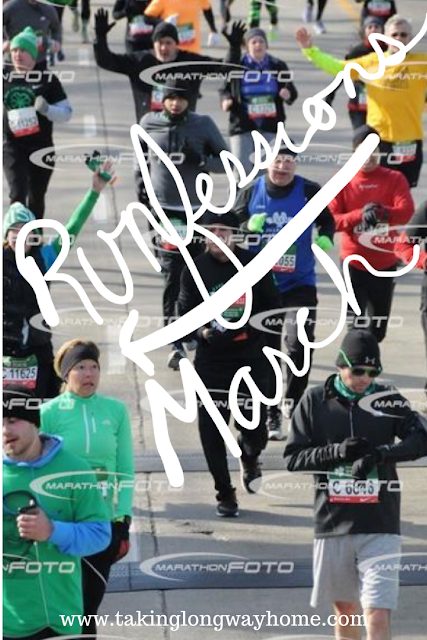 My race photos are always awful and I always look like I am dying or something. They are so crazy expensive too. One of the big race companies here does free race photos and it's definitely a plus when thinking about which races to do. 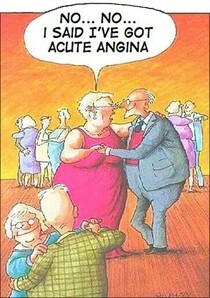 That meme with the older couple too funny!! The free race photos are a win! I wish more races would do it. I feel like some fitness trackers overestimate steps much more then others. Or maybe she is also a runner and include her mileage in her steps? I don't feel like a photographer can tell you to not take a photo with your own phone. Even at Disney where they want you to buy "official" pictures they still let you take them with characters with your own phone. It just seems obnoxious that they would make such a big deal at a race. I've had the experience of posing for finish photos and have the photographer take one with their camera and one with my phone, so this was a little strange. I never take good race photos but in the off chance I do have a good one, I agree, their prices are so ridic! More races are moving towards "free" photos which is a nice perk - plus makes blogging a bit easier! Cracking up at your political sign rampage. I want to do that quite often here. I have a love/hate relationship with race pictures...if I get a good one, I'll buy it, but Marathon Photo's prices are far and above every other race photographer, which irks. I realized how expensive MF is after I ran Mercedes. I even wrote to them and asked about a coupon, but it wasn't until about 6 weeks later that they offered one. Was there some sort of special background set up in which they were taking pictures and that is why they didn't want you to take a picture there? It was the finisher background. It seems like everyone is happy that March is over. Me included. Heres to having a great April! I runfess I've only just caught my blog up to Week 10... am I glad Feb AND March are over? YES. and... so you had a glass of wine...(or two??) , it's ok, life really is short! I get the thing about the parents too. I love my parents; I have two sets, one is more preferred than the other but still... my dad is hard of hearing so we are constantly shouting. he can't hear anything really so he just talks and talks and then when you finally get to say something he nods like he gets it but then... you kind of know he didn't hear a word! If you click on the link above, you can see said candidate's commercial and decide for yourself. And no, I'm not worried I ended up on YouTube. I'm so glad you took down that sign. Also unless I'm running, it's hard to get to 20,000 steps. Some days even 10,000 so I agree with you haha. 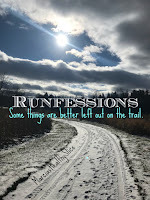 You always seem to have the best runfessions, lol! Yeah, I find it highly unlikely that lady had 23,000 steps a day...come on now, lol! Free race photos are the best LOL but I do try to buy them for races that I really enjoyed. The high cost is just ridiculous though. OMG I'm cracking up at the thought of you pulling up the lawn signs! I cannot remember the last time I actually bought a race photo - mine never come out great. Marathon photo's prices are just ridiculously high! I did buy some photos from Mercedes--I needed some updated ones for the blog. But I waited for a "special". I hope I'm not too stubborn to get a hearing aid! I want to be a part of everything! This was by far the BEST runfession I've read all day, loved it! ha ha! I too felt like March just went on forever! Speaking of parents - I'm 100% certain that my Dad's life (and ours) would improve immensely IF he would just get his hearing checked! He is a super active person but man, he just can't hear us...or doesn't LISTEN to us...fun times! Love that you pulled the signs out!!! Thank you! I wish my mom would get a hearing aid. Talking with her on the phone is just so frustrating. She won't do it tho. I'm so glad March is over. Now, bring on some warm weather! That's a lot of runfessions! I've never taken down a political sign, but I have judged people for the signs they post in their yards.Harshly judged. Not sorry. I do tend to buy a lot of race photos. I understand why they aren't allowed to use your phone, and I know the pics do get pricey, so I try to do my part to keep the photogs in business. Marathonfoto usually does a good job for me, and I love race pictures. I rarely buy race photos - if they were more affordable they'd sell a whole lot more!!! You are awesome Wendy. I would have done the same thing with the photo lady... so annoying! I feel like MF's business model is antiquated and they're going to have to change their pricing strategy to stay relevant. I didn't notice any of "her" signs...maybe because I barely ran this month...but yeah, heinous. I was thinking the same thing about MarathonFoto. I wonder how much longer they're going to be able to compete. I runfess that I am doing nothing this week: no stretching, no treadmill, no outside walks. Babysitting our two grand-child for a full weekend for the first time did us in. I can't seem to recover and am resting. I again make a proposition: when I return to it next Friday morning I will be refreshed. And when we come back from Paris mid-May I hope to start the Cto5K program again. 90 days to retirement. Not a confession but a commiseration: someone poking or pulling at me to get my attention would send me over the cliff. You get me! And that's what really counts here. No judgment. Commiseration is good. Oh my Wendy, I have totally felt like pulling a few politicians signs out of the ground and stomping on them!! Haha, you may have just inspired me to do so!!! I was pretty happy when I ran that route yesterday and there were no signs. That's what I like. Looks like I am not the only one who is glad March is over! Whoa, that candidate looks a but nuts! 23,000 steps each day does seem like a lot. I have had a few days like that, but it def included a good workout and pretty much not sitting down all day. I've been (guiltily) enjoying wine and I think that maybe I need to hold back until I get my labs rechecked. 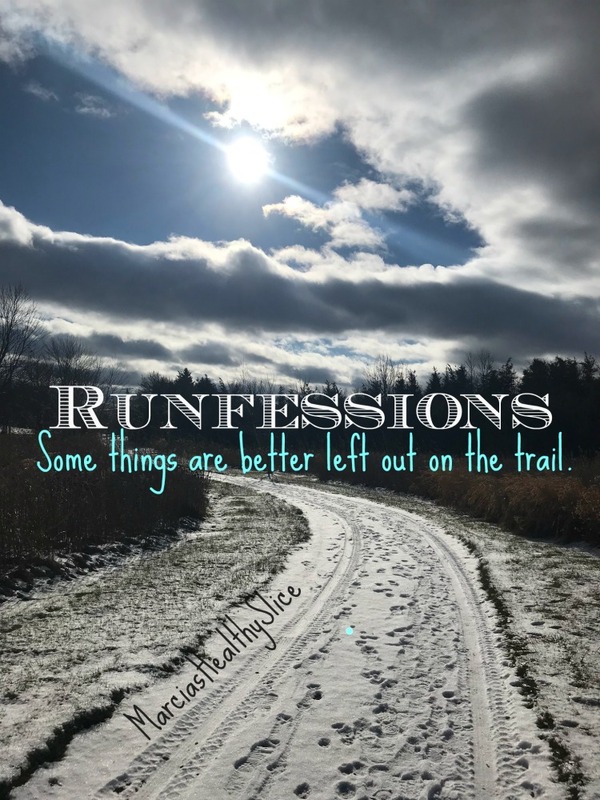 Love your runfessions! My dad and my husband are hard of hearing but my dad got a cochlear implant and changed his life (and ours!!). My husband just continues to drive us crazy with the "what(s)" Grrrr! Wishing you a sunny, warm spring! Ok. That finish line photo is epic! 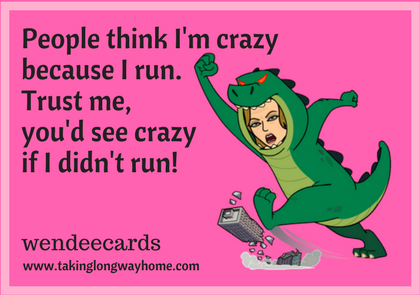 :-D Love that wendeecards! How did you create it? I make them on Canva!